You may recall seeing this photo here before. This is our 1932 Ford Victoria, a.k.a. Vicky. Vicky played a part in the wedding that was at our house last weekend. She has a special parking spot in the back section of our shop, but as of yesterday, she was still at the front of the building. Our family doctor when I was growing up was from Ireland . Now 83 years old, he’s long retired, but we see him around town occasionally. Yesterday, he stopped by our shop to ask Motor Man a question about a car battery. He saw Vicky and began asking all sorts of questions about her. As he was walking out the door to leave, Motor Man asked me to drive Vicky around the building back to “her spot”, while he opened the roll-up door. I asked Dr. L. if he would like a ride. 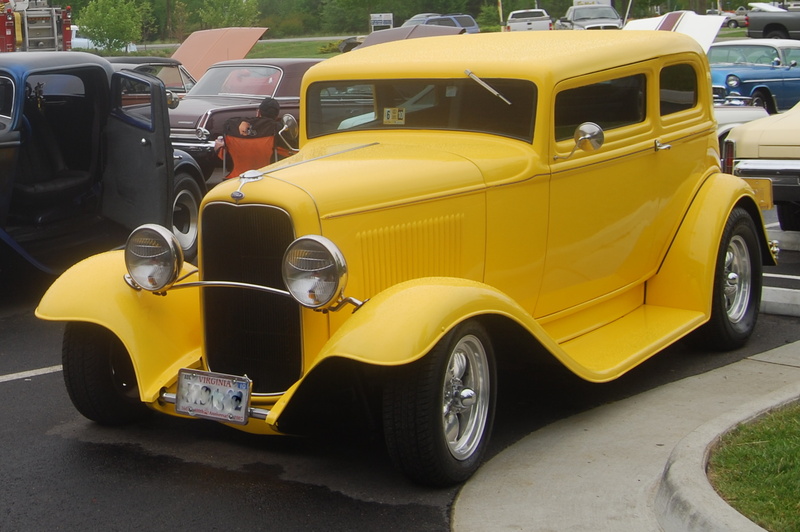 …When I was 10 years old, if someone had told me that, one day, I would be driving Dr. L. around in a 1932 Ford…..